Occasionally I get a request for projects that are a little outside the “norm”. This could be a design feature, a specific challenge related to the project or really any number of other factors that make some projects more unique than others. From time to time I will showcase those projects in a series called “Project Spotlight”. Hope you enjoy!Note: I can’t take credit for this project, although I wish I could. 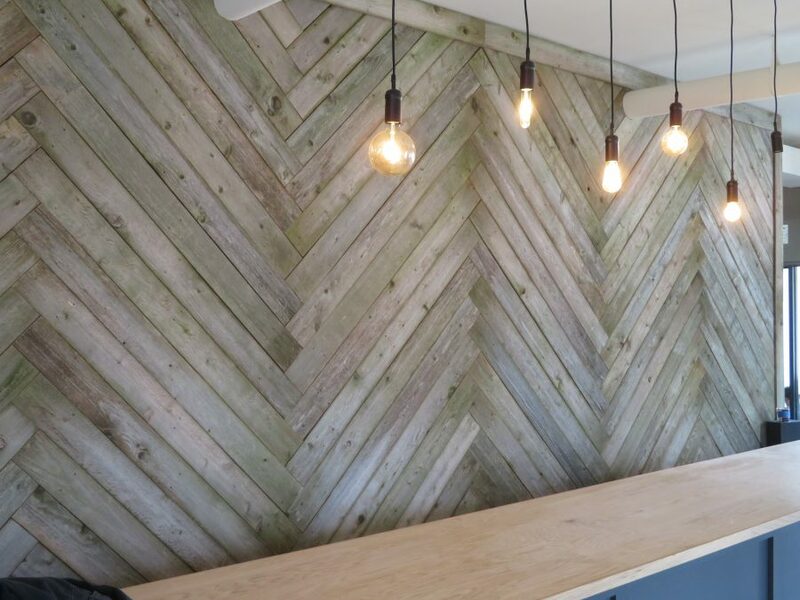 I simply provided the reclaimed cedar wood that was used for the wall. All the credit belongs to Lori and the rest of Urban Village Veterinary Care team. You guys did an awesome job! 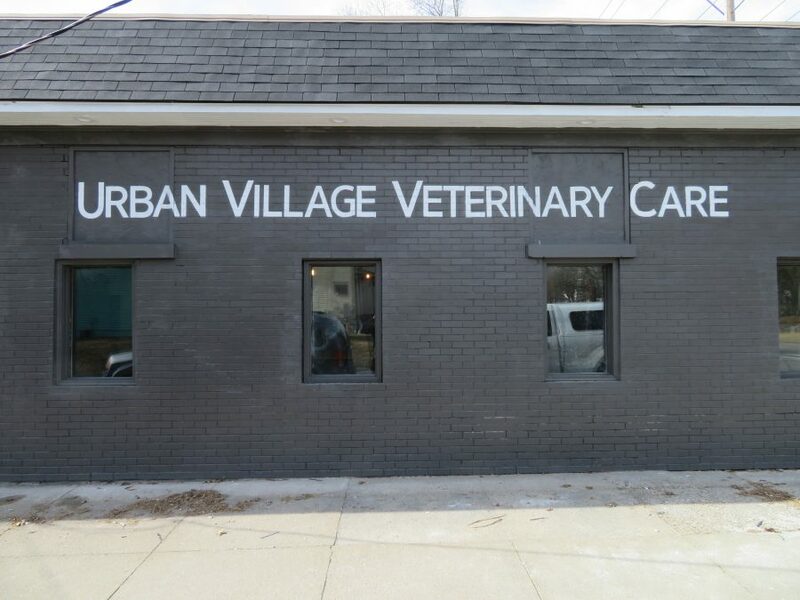 I first met Lori, co-owner of the new Urban Village Veterinary Care, last fall. She was in need of a fence for her dogs at her new home and coincidentally I knew just the guy for her project :-). 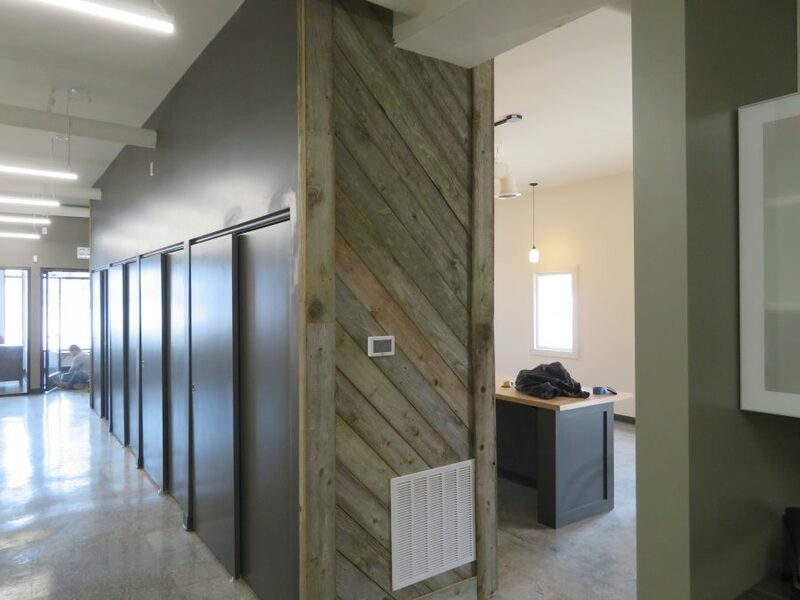 As with most of my clients, we chatted during the fence build and I got to learn more about the new vet clinic she was in the process of opening with her business partner Sarah. I’ve been privileged to see the building come together from the early days of the demo, to where it is today. Thank you guys for letting me be a part of your journey! Weathered cedar fence boards from right here in Louisville! Accent wall is behind the front desk as you enter the reception area. Side wall from reception area. You guys did an awesome job! 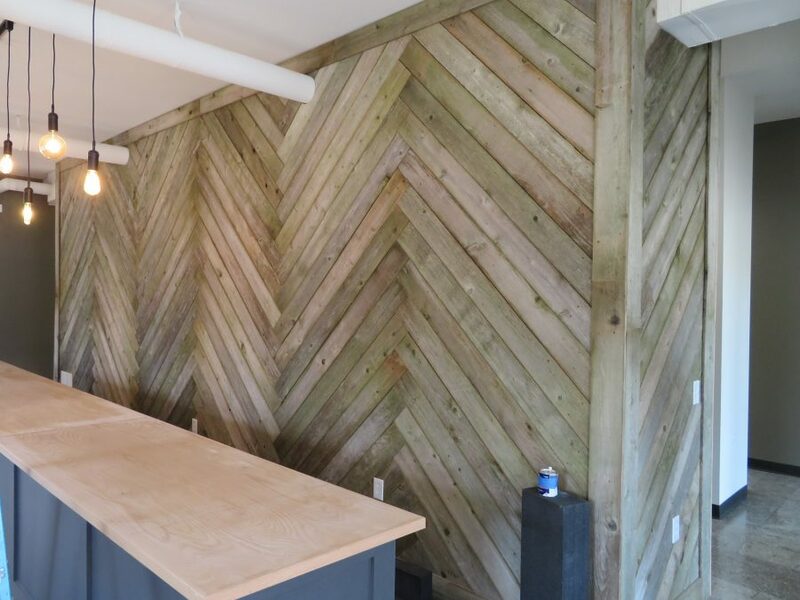 It makes me happy to see the old wood find new life in a new business right here in our city. 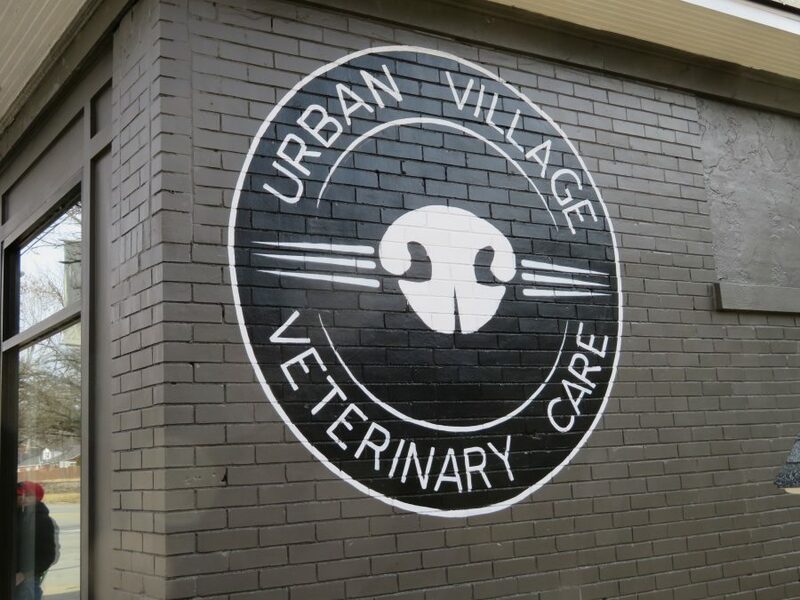 If you are new to Louisville, looking for a vet in the Crescent Hill area, or have a new pet and are looking for a vet be sure to check out Urban Village Veterinary Care. Tell them The Fence Guy sent you!